This couple is honestly just the sweetest. They totally embody classic romance. 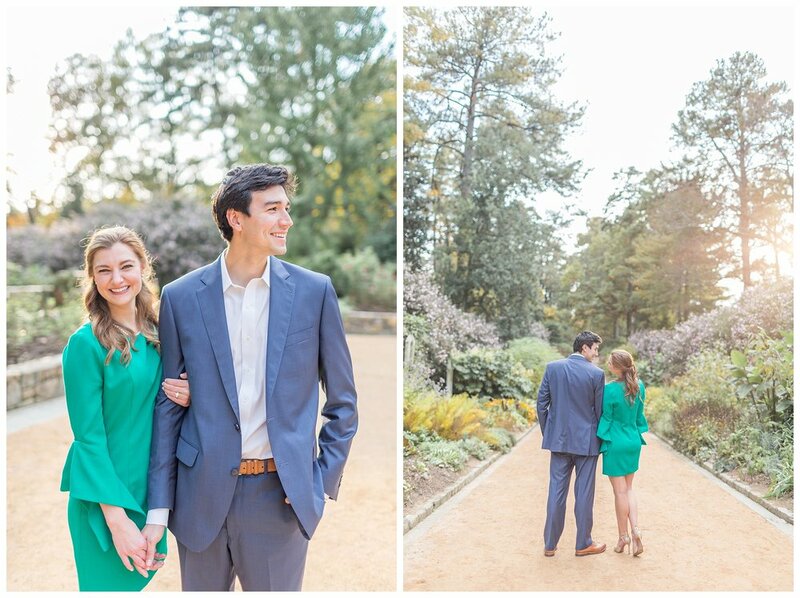 Hope is currently in Medical School at Duke so it stands to reason that the only time she has for engagement photos between becoming a doctor and wedding planning would be on campus! In fact, Hope’s parents are the folks who hired me for her upcoming wedding! After meeting Rob and Hope in person, we found that it couldn’t have been a more perfect fit! 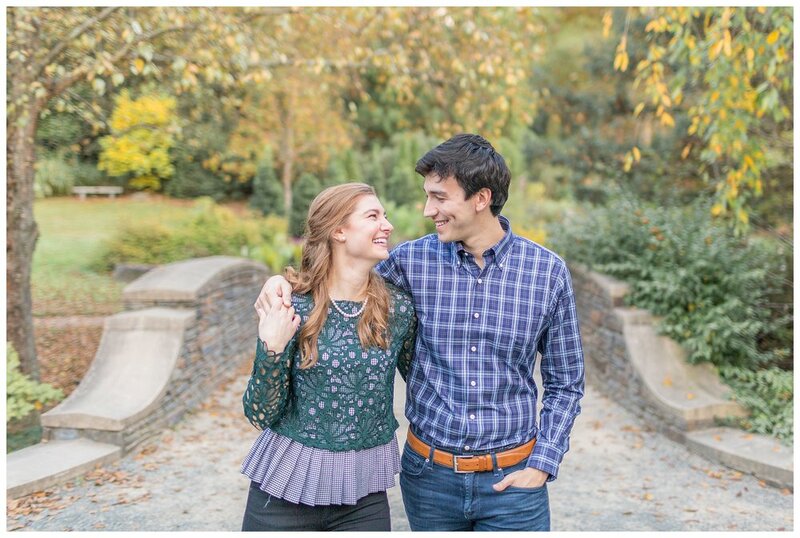 These two will tie the knot at the Duke chapel this spring and have a classic reception at the Washington Duke Inn. 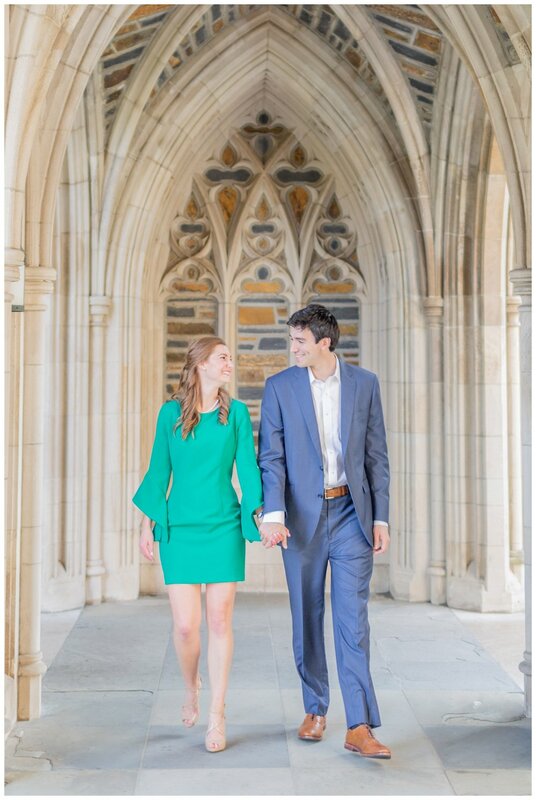 We chatted all afternoon about wedding plans and the process of booking the Duke Chapel! Did you know you have to camp out for your date?! CRAZY! I can’t wait to get these two cuties in front of the camera again. 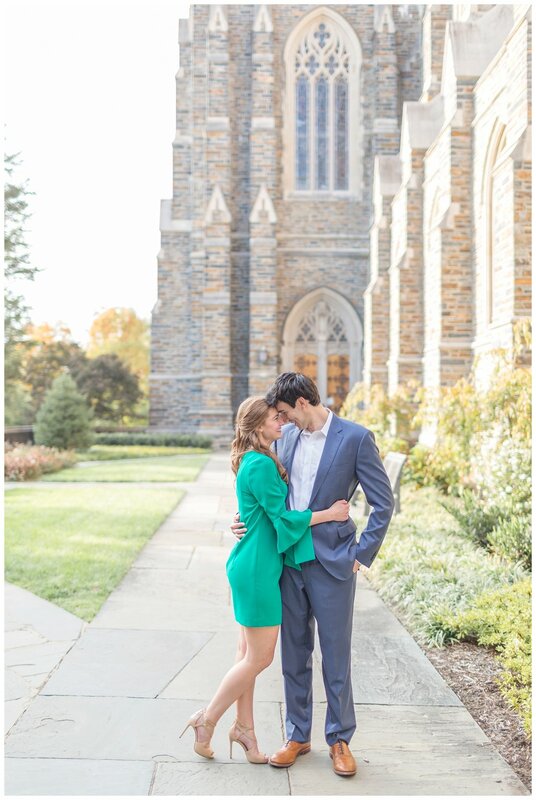 Here are my favorites from their classic Duke University engagement.